Zach Galifianakis is slowly becoming the most hard-hitting journalist in the game. OK, not actually. I kid, I kid. But with Galifianakis' recent interview of Hillary Clinton on Between Two Ferns, he enters the rarefied club of individuals who have interviewed both a sitting president and their most likely successor. Most Americans have not done this. Most veteran journalists have not done this. Of course, most veteran journalists also don't open their interview by wearing a grim reaper mask and getting tackled by the Secret Service, either (though physical altercations with journalists have become distressingly common this election). But you can't say Mr. Galifianakis isn't learning. Compared to the Between Two Ferns interview with President Obama just two and a half years ago, Galifiankis is clearly getting tougher. Whereas the president succeeded in running roughshod over Galifianakis' interviewing skills, plugging his personal issue of health care reform without any objection, and insulting the host when things got testy, Clinton was put on edge by Galifianakis' hard line of interrogation. 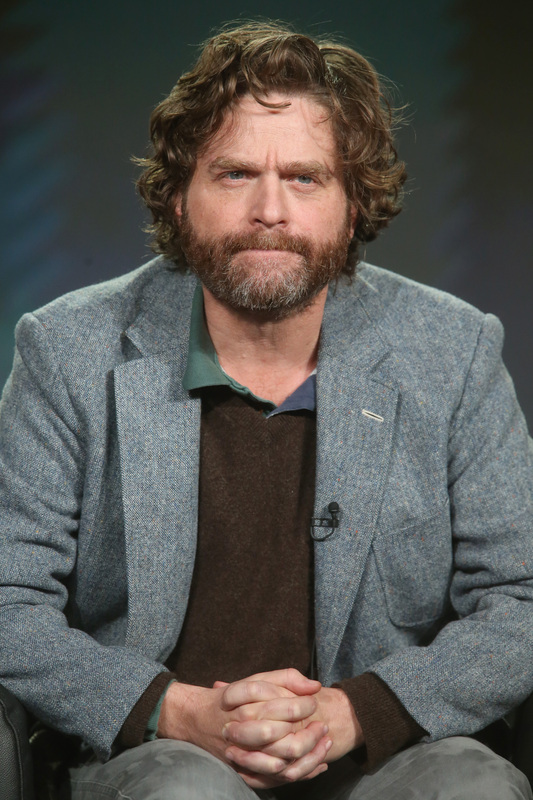 Or at least... pretend put on edge, by Galifianakis' hard line of pretend interrogation. Because, y'know, Between Two Ferns is a comedy show with writers and directors who put it together. But considering that Donald Trump recently held a supposedly "real" and "serious" interview where both the questions and answers were written in advance, this is feeling less like a big deal in the crazy media climate of the 2016 election. First you supported Obama's Trans-Pacific Partnership deal, and then you were against it. I think the people deserve to know, are you down with TPP? That is an actual question about an actual issue! I have been wondering for almost a year about what specifically in the terms of TPP caused Clinton to change her mind after advocating for a Pacific trade deal as Secretary of State. For almost a year, it's been immensely frustrating to see Clinton say she wants to amend the deal she once supported without having more specifics about what parts of it she wants to change and whether she'd pass a new version of it. Kudos to the guy from The Hangover for trying getting to the bottom of this important issue. Obviously, Galifianakis is not Edward R. Murrow. But considering how low the bar has often been set for serious questioning of presidential candidates this election, it seems only fair to give Tairy Green some credit. The highest-profile forum interview with both candidates already featured some notably badly-handled questions from an entertainer. At the NBC Commander-in-Chief Forum, Matt Lauer's first question to Donald Trump in a precursor to the debates was, "What have you experienced in your personal life or your professional life that you believe prepares you to make the decisions that a commander in chief has to make?" So when Galifianakis asks Clinton, "What’s the best way to reach you? Email?" he looks like Walter Cronkite compared to Lauer.